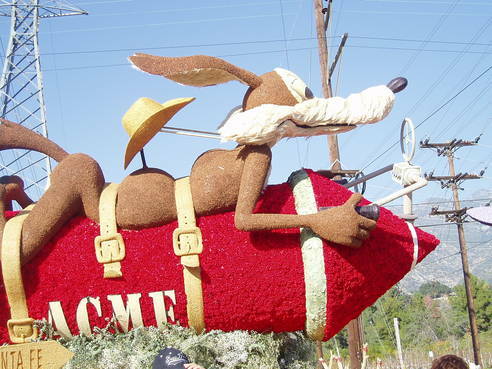 With cities strapped for cash due to increasing payments to pensions and public safety employee retirement and medical benefits, not to mention the slow down in retail sales affecting tax revenues, will they be able to afford to pay for a float in the 2010 Rose Parade? Even though much if not all of the cost is raised by the community, those funds are also in short supply. Corporations and foundations also are experiencing lowered donations, making it harder for them to donate to float costs. How much good public relations does a city really get for a float? Everyone loves a parade, especially the annual Tournament of Roses Parade. But with such bad economic times, when will it no longer be worth it for cities? 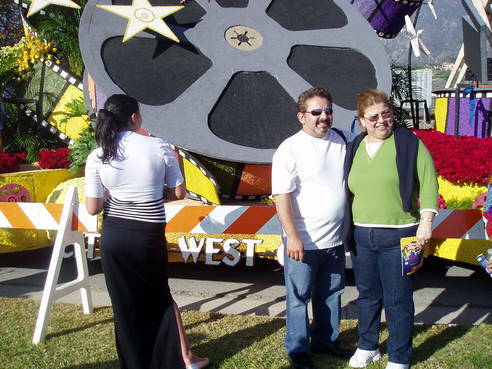 More on parade float viewing.. 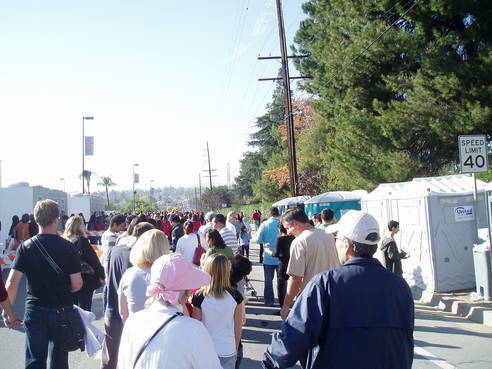 Some people complained about the $7 admission charged by the Tournament of Roses to view the floats after the parade (both on Jan. 1 and on Jan. 2). Is it too steep? Many clearly did not think so. 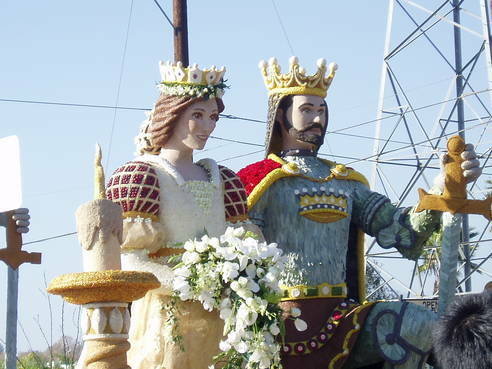 Or, at least it didn’t stop them from viewing the floats as they sit side-by-side on a street median near Pasadena High School.